Are you struggling with lines and wrinkles that make you look, and feel older? What about stretch marks that sap your confidence or acne scars that provide a lasting reminder of every breakout? Drooping eyes? Drooping neck? For those unwilling to undergo cosmetic surgery, options seem limited. Until now. Until ULTRAcel. ULTRAcel combines three different techniques for one ultra-effective treatment. While the individual techniques deliver quite beneficial individually, by “teaming up,” they help clients achieve outstanding results. High Intensity Focused Ultrasound: this technique creates “thermal wounds” in the top muscular aponeurotic system layer of skin. Before now, SMAS could only be reached through surgery. The skin starts producing collagen to heal itself. Grid Fractional Radio Frequency: GFR is the application of targeted heat, which stimulates collagen production and smoothes existing stores. 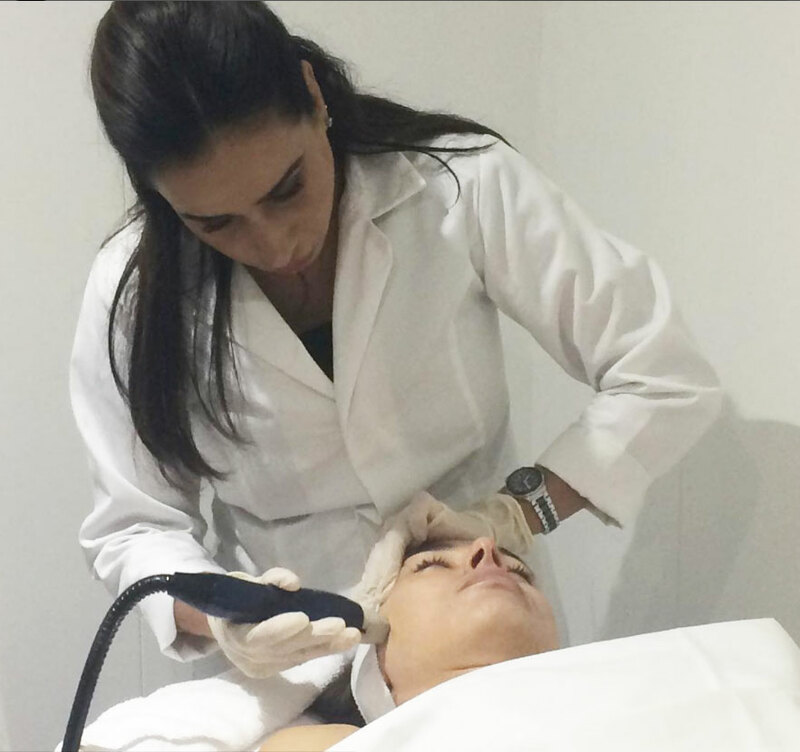 Fractional Radiofrequency Microneedling: Collagen production is super-charged with this method. Again, each of these techniques is effective on their own. But by combining them into one treatment, ULTRAcel can deliver outstanding results. People who thought cosmetic surgery was the only option to overcome issues from deep wrinkles to “turkey neck” finally have a scalpel-free way to achieve the appearance they desire. Downtime is minimal; you may experience some redness and/or sensitivity for up to four days. Results, though, begin to reveal themselves immediately. Interested in an ultra-effective, ultra-advanced treatment to help you achieve your most beautiful, healthy skin? ULTRAcel may be right for you. Book your consult today and find out.